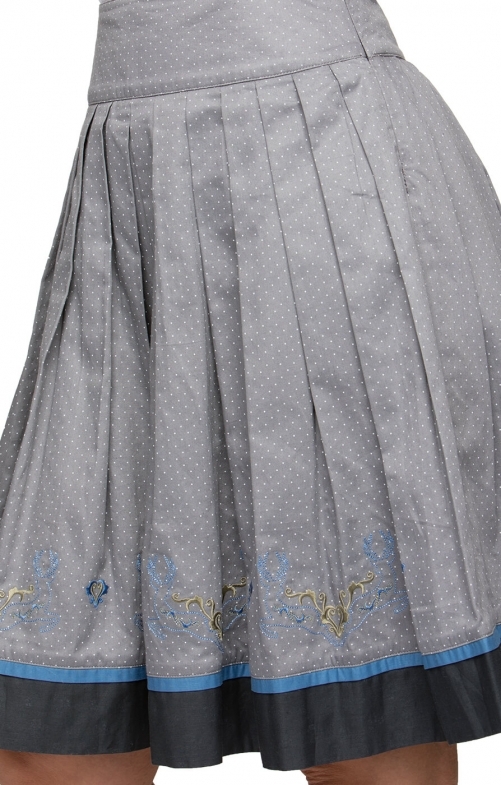 Mateja traditional grey skirt. This versatile skirt has been created in the traditional Trachten style and comes complete with a dark grey and blue lined hem that falls to the knees. Made from 100% cotton, it features a series of graceful pleats that mirrors the classic style and the look is completed with embroidery at the bottom.